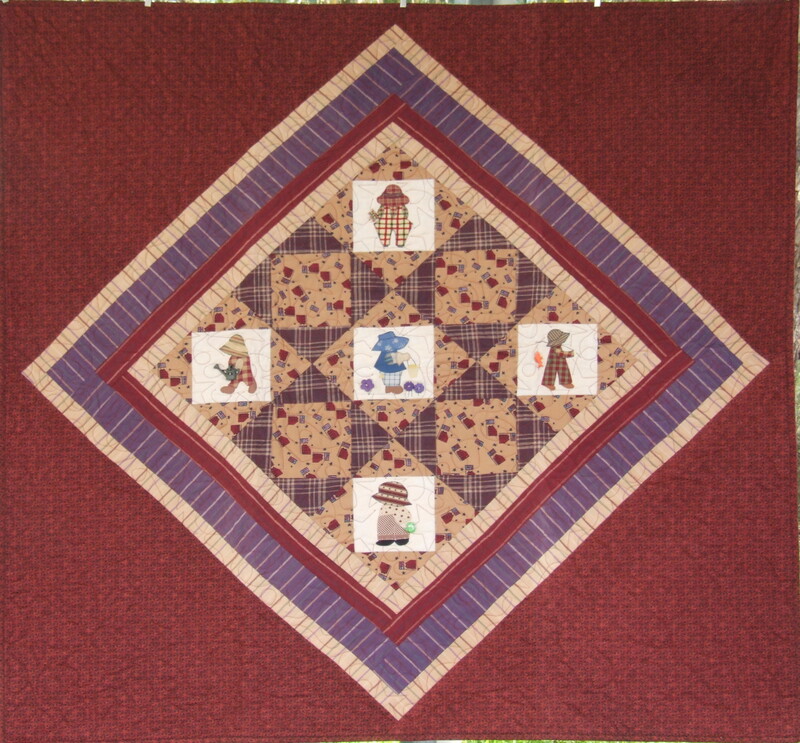 This quilt which has a hanging sleeve attached is based on the Overall Sam applique motif and the 5 blocks featuring this design are embellished with buttons. It is therefore not recommended for under 3 years of age unless it is used as a wall hanging. 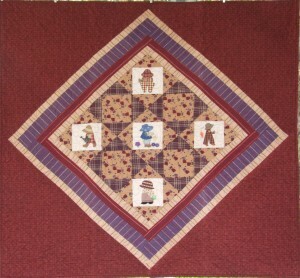 The strong reds and purples make it ideal for little boys. 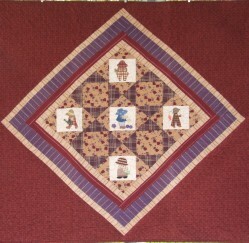 The backing is tan check and the quilting stitch is stars and loops avoiding the appliqued areas. It is 100% cotton.